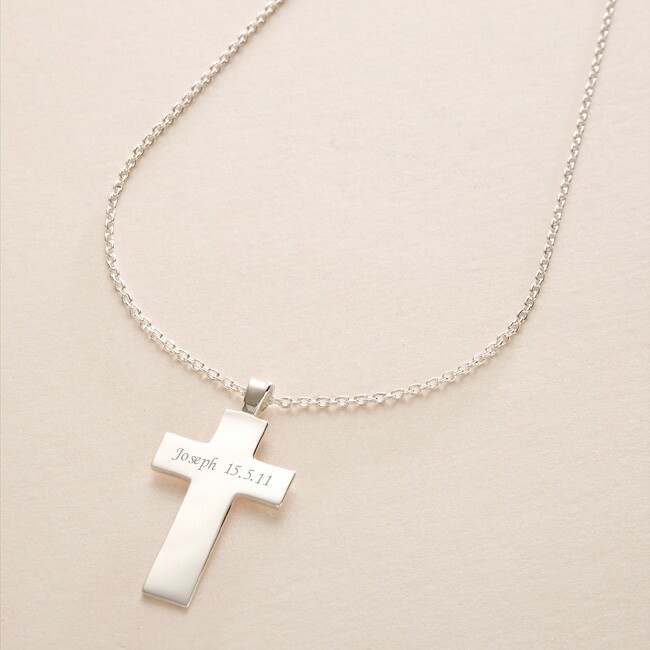 Engraved Solid Silver Cross Necklace. A very high quality necklace with all parts made from .925 Sterling silver (stamped 925 on the reverse). 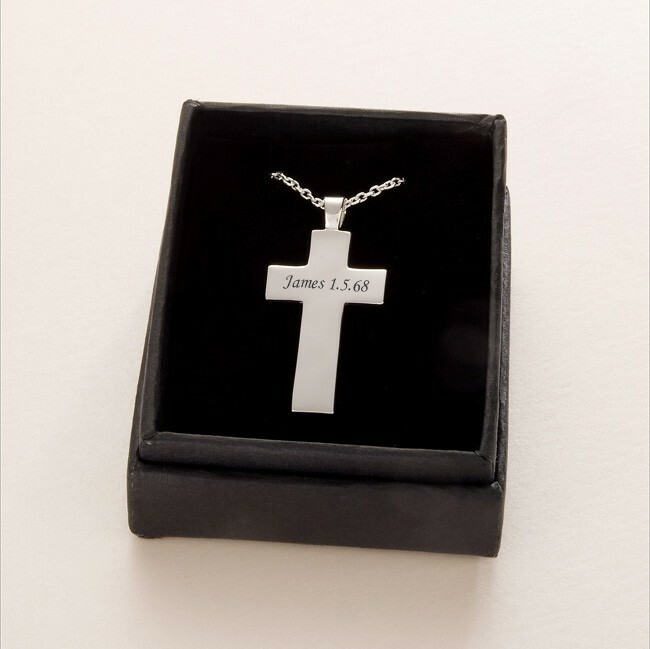 Please note we can engrave a maximum of 15 characters on each side of this cross (please include spaces). Sizes: We stock silver necklace chains in 14", 16", 18", 20", 22" and 24". 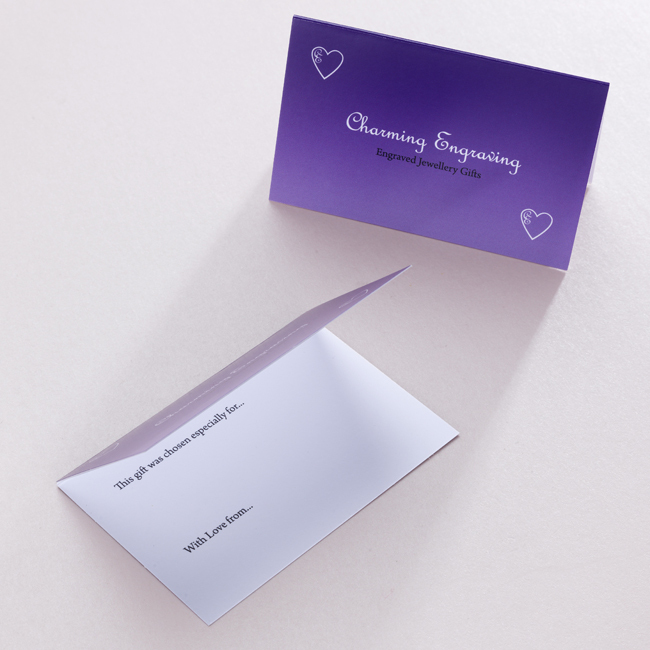 The cross is 34mm x 20mms. Weights: Chain and clasp 1.6g. Cross charm 4.7g.